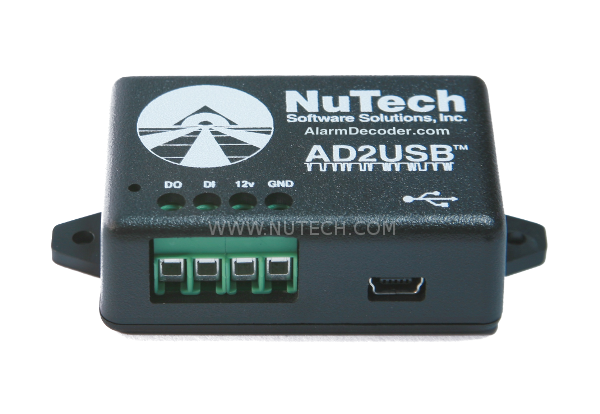 With the AlarmDecoder AD2USB you will be able to control your Ademco / Honeywell Vista alarm system from any device with a USB port. Arm and disarm, detect opening and closing of zones, program your panel, download programming and even monitor your alarm's motion and other sensors directly from your home automation system. Virtual zone expanders allows you to interface other devices or systems with your home automation system! See our FAQ for a more complete listing of supported panels. Check out the Getting Started section for the quick start guide and installation videos.